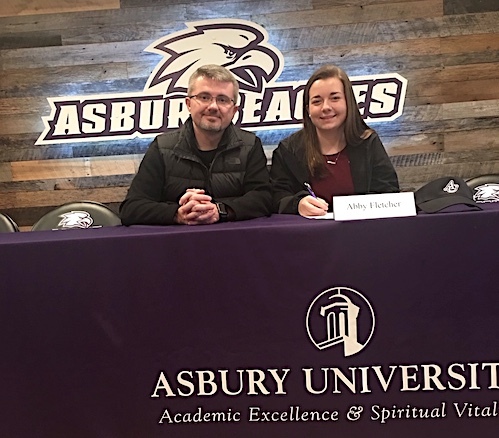 WILMORE, KY. — Lawrence Co. Senior softball player Abby Fletcher will continue her academic and athletic career at Asbury University after signing her letter of intent Saturday at the school. Fletcher caught for the Lady Dawgs last season and can also play either corner infield position. She will be a key cog in the 2019 for Lawrence Co.
Fletcher had a great 2018 season helping her team to the 15th Region Championship game before falling to Pikeville. She hit .381 with 43 hits including 10 doubles and drove in 23 runs while handling herself quite well behind the plate.